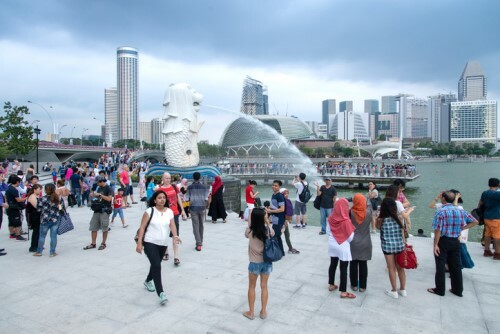 Singapore’s life insurance industry recorded SG$4.2 billion in weighted new business premiums in 2018, up 3% from the previous year, according to data from the Life Insurance Association (LIA) of Singapore. The growth has been attributed mainly to the continued uptake and stable performance of annual premium policies, which accounted for total weighted annual premiums of SG$2.78 billion for 2018. This reflects a 6% increase from 2017, the LIA said in a media release. The industry’s assets under management were worth approximately SG$211.2 billion as of the end of 2018, up 9% from the previous year. After a good start to the year, the latter stages told a different story, with market volatility and regulatory changes negatively affecting business. While premium income increased, there was a 3% dip in sales of single premium plans, due to turbulent markets late in the year and a regulatory requirement to reduce the sales charge for purchases of CPF Investment Scheme (CPFIS) products. Weighted single premiums totalled SG$1.42 billion, 74% of which was composed of single premium par and non-par products, while single premium linked products took the remaining 26%. There was continued demand for protection products and health coverage, with total sum assured for new business growing 7% year-on-year to almost SG$140 billion. Integrated Shield Plans (IPs) and IP riders accounted for 92% (SG$388.3 million) of total new business premiums for individual health insurance, while the remaining 8% came from other medical plans and riders. As Singapore’s population ages, more individuals are thinking about their retirement, leading to a notable year-on-year increase of 48% in the uptake of retirement policies designed to provide regular payouts to policyholders during their retirement years. A total of 38,120 policies were purchased in 2018 – or 12,345 more policies compared to 2017, which had a total uptake of 25,775 policies. Singapore’s life insurance industry implemented two remaining initiatives under the Financial Advisory Industry Review (FAIR), which began in 2012 with the aim of increasing consumers’ understanding of life insurance policies. Two new point-of-sale documents are to be provided to consumers, namely: a “cover page” to highlight salient features of the life insurance products and a bundled disclosure document to highlight that bundled products such as endowment and whole life plans have both insurance protection and investment components, and that consumers have the option of purchasing term life policy and investing the premiums saved. Tied representatives were responsible for 53% of the number of insurance policies sold, followed by financial adviser representatives at 20%. Direct insurance purchases made up 16%, while bank representatives contributed 11%. This shows that Singapore’s life insurance industry is still very much dependent on agents and other intermediaries. Manpower-wise, 578 new employees were hired, for a total of 8,007 employees as of end-December 2018. Recruitment was mostly focused on data analytics, cyber security, operations, healthcare and marketing as life insurers pursued business expansion and digital innovations.